By James Rothwell . Published on December 05, 2018. Once confined to brand and awareness metrics, the world of TV attribution has evolved to measure responses and effectiveness in the same way digital media has for years. Critically, the concept of quantifying offline media's contribution to a business outcome, no matter where the consumer is in their purchase journey, has realigned the industry's approach to assigning value across all channels. For television, the availability of smarter data from devices such as set-top boxes and smart TVs, as well as the advanced application of that data by specialist companies, has shone a light on TV's efficacy in pushing the consumer through the purchase funnel. Whether measuring brand metrics or transactional behavior, marketers can now employ reach and precision tactics through advanced TV to drive mass and personalized messaging and attribute value to those media investments. There is no question that TV is the king of building brands. Television has been the platform that marketers have turned to for decades due its mass reach, ability to drive awareness, cultural influence and social (in the macro sense) engagement. 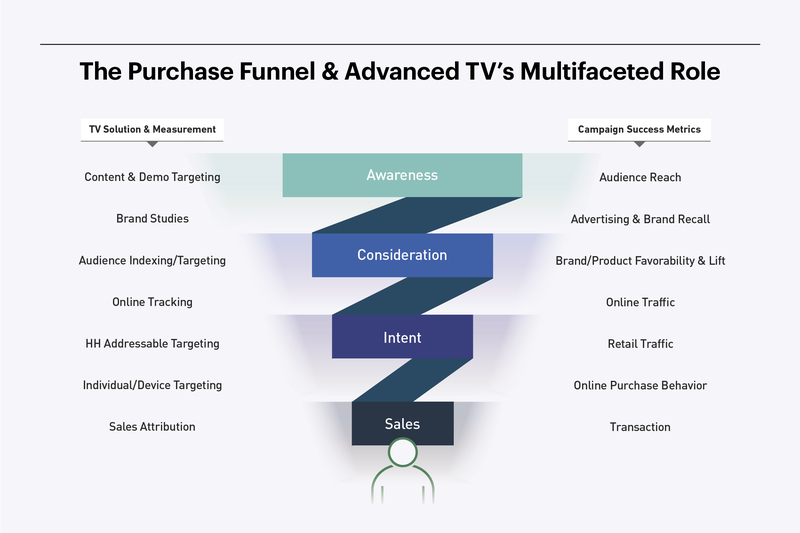 Advanced TV now expands those capabilities beyond awareness, down through the funnel, enabling solutions and measurement at the consideration, intent and sales stages. Analyzing TV's impact on a consumer's path to purchase is critical to future investment strategies in a cross-screen world. To better understand TV's ability to touch—and now measure—the full funnel, the FreeWheel Council for Premium Video (FWC) and the Video Advertising Bureau (VAB) partnered together to showcase examples of case studies across the industry. What was fundamentally clear from these case studies, regardless of industry sector, was this: TV has a dynamic ability to engage consumers and drive purchase behavior through smart targeting and cross-channel coordination. Awareness: Advanced TV creates incremental reach opportunities that expand the base of potential customers to drive through the purchase funnel. A case study from a regional car dealership from Comcast Spotlight illustrated TV's cross-screen ability to drive additional reach through the combination of linear and premium digital TV, ultimately finding previously elusive audiences. Consideration: Linear and digital TV have a unique ability to impact online search and discovery in the new living room, where advanced targeting and multiple devices drive action in response to advertising messages. 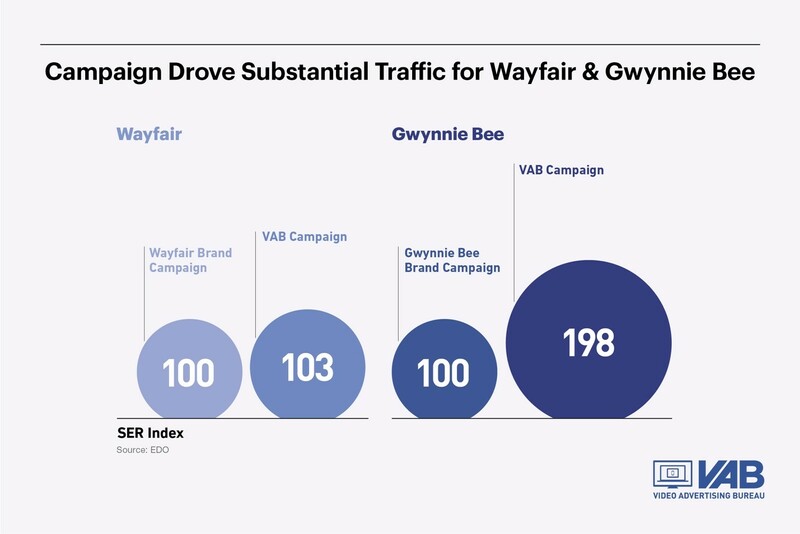 The VAB itself tested the medium by running its first TV campaign featuring the founders of two digital-native disruptor companies, Wayfair and Gwynnie Bee. Results from attribution analysis showed that the campaign drove significant lifts in website traffic to the VAB site (39 times the normal rate) and the two brands' sites, illustrating TV's ability to drive interest and consideration. Intent: Insights from viewership data across multiple devices can help identify target audiences that can drive KPIs like in-store visits as well as understand more about those audiences to inform future buys. Location data company Factual ran an attribution study with a luxury retail client, looking to optimize its TV investment and understand more about its stores' visitors. Leveraging smart TV data from Samsung Ads, a connected TV (CTV) campaign delivered a 37 percent increase in store visitation (vs. other channels), which aligned with findings that the brand's shoppers are more likely to be heavy streamers compared with the average population. Sales: Advanced TV targeting can not only drive incremental reach of qualifying audiences, but also discover and influence non-loyalists to drive incremental sales. Discovery worked with a CPG client to convert non-brand buyers with a product launch by increasing qualifying audiences through advanced target groups (plus 43 percent in volume). This resulted in a 32 percent lift in sales and over $3 million in incremental revenue. 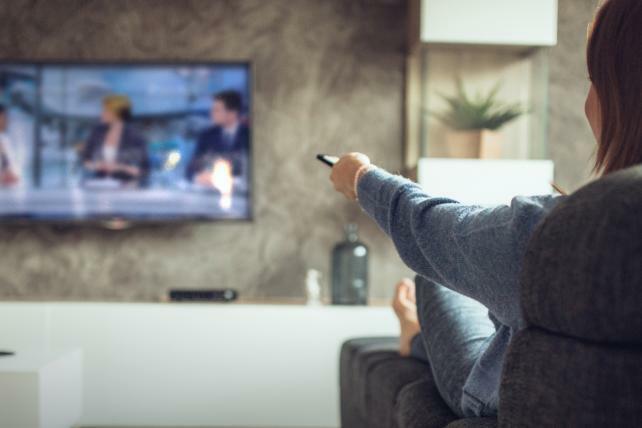 "Television drives positive business outcomes, and through attribution advancements, we are now able to prove that it does and show results," says Keith Kazerman, Group SVP, Research, Data & Engage, Discovery. These and many other case studies are featured in the new joint release from the FWC and the VAB: Assigning TV Credit: A Practical Guide to Attribution. The report provides a simple yet comprehensive guide to the world of attribution and the ways in which TV can now truly measure its value in the overall marketing mix. 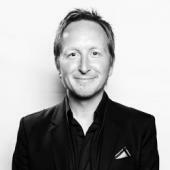 James Rothwell leads agency, brand and industry relations for FreeWheel. In this role, he runs the FreeWheel Council for Premium Video, an advocacy group focused on furthering the premium video marketplace. 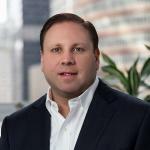 He engages with the buy side and the broader industry to explore ecosystem dynamics and industry best practices, as well as open up new opportunities for advertisers across premium video through FreeWheel solutions.